Google Analytics and Webmaster Tools are, perhaps, your best friends in the world of SEO. They are like the loyal friends you will always trust and whom you normally believe no matter what… But it is also nice to have another kind of friends, like those who are not so trustworthy but who, from time to time, can also provide good things. Today we are going to talk about the latter form of friends. Or more precisely, the 5 basic SEO tools that would make this form of friends. 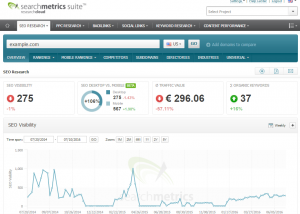 Searchmetrics is a quite versatile German tool that is especially useful to measure organic (and paid) visibility in a website and also to compare this data with its competitors as well as to conduct keyword studies. 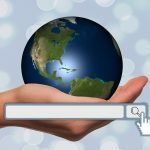 We can see what keywords rank a specific site, what sites rank for a specific keyword, what words does a web win or lose in a lapse of time… With information for a wide range of countries (you can even configure projects for search engines like Baidu and Yandex). In summary: a great deal of options that can be very useful when planning a SEO strategy. In addition to including quite informative and comprehensive reports (including how many keywords are ranking, incoming links, social signals, ideas for keywords…), it is also very useful for knowing how visible a web is as well as how the competition fares. The visibility index can vary a lot from tool to tool. The reason for this is that each tool calculates the value taking into account different variables. However, it is always a nice idea to check these values on more than one source. 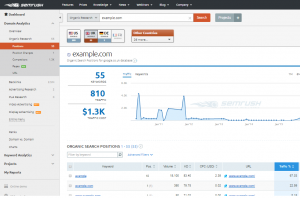 Semrush is a tool particularly useful to estimate how the webs of competitors are doing. With Semrush we can know the estimated levels of traffic of any website or the number of keywords for which the website ranks, but we can also get more detailed data such as the percentage of visits that come to the website for each keyword. But you have to bear in mind that all this information is an estimate. This is not Google Analtyics nor Webmaster Tools. Screaming Frog is an outstandingly useful tool to crawl full websites and obtain logs from some basic data of all the webpages that make up the site. If you want to learn to use it better, have a look here and here. This is one of the most useful tools to perform SEO off-page. This bar indicates the authority of the websites we visit. This can be very useful when doing linkbuilding campaigns or to know whether the sites that link us are of enough quality or, on the contrary, they are holes in the ground full of filth. 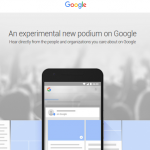 These are just five tools that can come in handy when developing your SEO strategy. We are sure that you know many more. Share them with us in the comments.